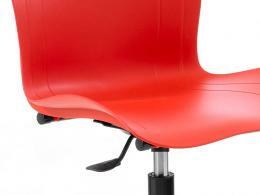 What is the purpose of the Polypropylene Seating High Lift? The tough and abuse-resistant Polypropylene Seating High Lift Chair is perfect for any business that needs a reliable and comfortable moulded chair. The comfortable Polypropylene Seating High Lift Chair can withstand a flurry of abuse, and is washable and steam cleanable. 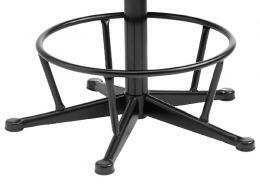 The sturdy 5-star base with glide supports and a heavy-duty foot ring around them for greater comfort when sitting. The dependable gas lift screw seat height adjustment mechanism can adjust to a tall 800mm smoothly every time. Polypropylene is a durable and resilient thermoplastic polymer trusted the world over to make a multitude of durable objects. Lightweight without being brittle, polypropylene has found many applications in furniture making since halfway through the last century. This material has been proven success in furniture making for industrial establishments like factories and food service industry facilities. 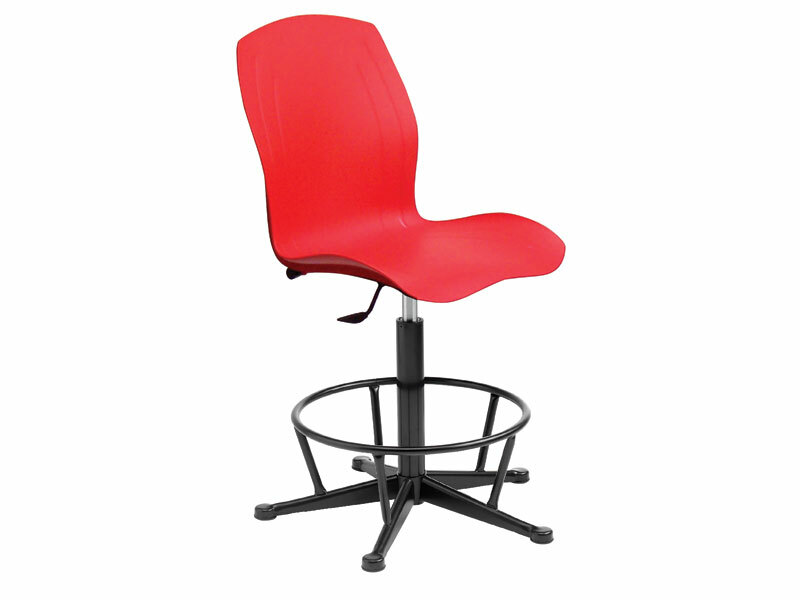 If you need a comfortable seat for your industrial or food service facility then look no further. The durable nature and ease of cleaning makes the Polypropylene Seating High Lift Chair a must have for businesses that get down and dirty while they work. Wherever there are people working, there is a need for the occasional comforts. 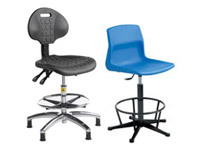 Hard workers need a tough seat, and the Polypropylene Seating High Lift Chair is the toughest. Perfect for adjusting to any situation thanks to its durable overbuilt construction and simple, yet precise, mechanics, the Polypropylene Seating High Lift Chair can withstand any abuse doled out to it and continue to offer exceptional comfort and integrity. Easily washed or clean making this chair perfect for industrial or food service use.